Reviewer Rob Pegoraro is putting the new iPhone 5 through its paces and keeping a running journal of his impressions. Have any questions about the phone? Leave us a comment about what you'd like to see Rob tackle in future updates. People talk about a phone's battery life as if it were a single measurement, but it's more accurate to speak of battery lives. Apple's own estimates for the iPhone 5 reflect that complexity, covering such use cases as talk time (8 hours), standby time (225 hours), Internet use (8 hours on 3G or 4G LTE, 10 hours on WiFi) and audio and video playback (40 and 10 hours, respectively). And just in case, Apple (AAPL) qualifies all these figures with the magic exculpatory description "up to." My own testing routine is a little simpler. To get a worst-case estimate, I set the Pandora (P) app to play Web radio nonstop, then disable the phone screen's auto-lock option to keep the display lit. For a best-case data point, I'll leave the phone on a desk with the screen off, mobile broadband active and Bluetooth and WiFi powered up but not linked to anything; 24 hours later, I'll check its battery status. I don't look at talk time, because we increasingly use smartphones for things other than calling. By those metrics, the iPhone 5 is terrific -- but not by a huge margin. In the Web-radio test, it lasted 7 hours and 44 minutes; in the second, its onscreen battery gauge read 85% after 24 hours idling away. Each figure beats any Android phone I've tested on an LTE signal, although some 3G models have done better. I'm used having to recharge so many of these lesser devices by noon at busy tech events. 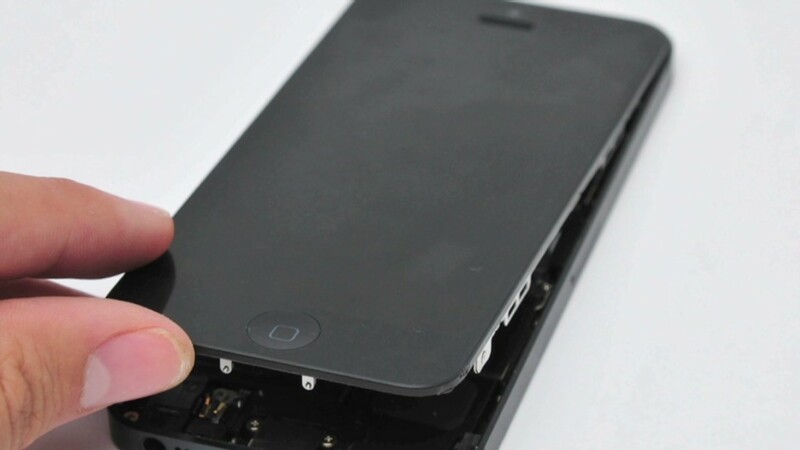 The iPhone 5 pushes that "where can I plug in?" moment into the night -- an advance power users will welcome. I used mine at the Online News Association's conference in San Francisco last weekend, which may not have been CES or SXSW but still had me spending an inordinate amount of time on my phone. And after 10 hours Saturday spent checking e-mail, tweeting, reading on the Web and looking up directions a few times, the iPhone 5 still had a 32% charge by that evening. It took another three hours for it to fall below 10%. That's seriously good. But on Sunday, three hours online, five hours of airplane mode on the flight back to D.C. and a couple of quick "tethering" sessions sharing the iPhone 5's LTE with my laptop combined to drive the battery down to 52 percent. As much as the iPhone 5 advances smartphone battery life, in one aspect it only matches competitors: You'd still be wise to bring a cable and a charger if you're going to spend a long day with this thing.